We wish to introduce you to Eidany Posadas. Eidany or Dany, as we call him, is a hard working gentleman who enjoys the variety of work he encounters each day at SERVPRO of Rockford. Dany is WTR and MRT certified, and has been with us for a few years now. When he is not working, Dany enjoys camping and fishing. He spends as much time as he can fishing at the dam on the Rock River. He and his family enjoy camping at Rock Cut State Park where the fishing is good as well. He is definitely a joy to have on our crew, and we are lucky to have him! We are happy to introduce Alex King to our SERVPRO family. When he isn't working he enjoys playing music on his guitar, and winding down with videogames. He enjoys watching the Marvel Movies, and the John Wick series. He has a large array of music that he enjoys, which include Rock, Blues, and Funk. His favorite foods are hotdogs, burgers, and pizza! He wants you all to know that he has a wonderful sister at his workplace! Angi King is our administrative assistant, but is also WRT and FRT certified. She is known to join the technician crew out on job sites and has been an employee of SERVPRO of Rockford since 2010. Her favorite ways to spend time off are visiting nature parks, playing violin, and videogames. She isn't a movie person, but enjoys multiple TV series. She enjoys all kinds of music, especially show tunes. Favorite food to eat is anything that was prepared by someone else, since she hates to cook. The best thing about working at SERVPRO for her is that she gets to see her amazing brother every day! We are excited to introduce our Production Manager Francesco! He is a wonderful edition to our team and has been with us for years now. 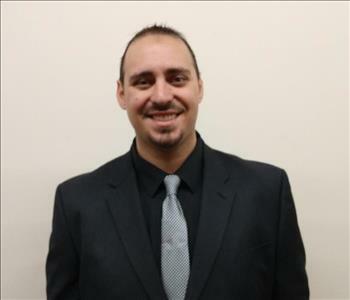 When he isn't working hard at SERVPRO he enjoys spending time with family & friends, riding motorcycles, and going target shooting. Favorite movies include the James Bond series, and the Marvel movies. He also enjoys listening to Breaking Benjamin, Metallica, and Classic Rock in general. Types of food that he likes to indulge in are Italian, Middle Eastern, and South American. 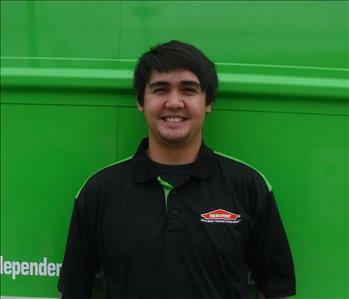 We appreciate all his hard work here at SERVPRO of Rockford, and we are happy to have him be a part of our team!